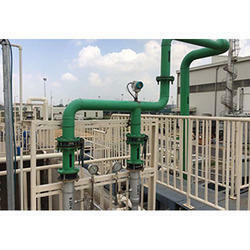 We are one of the widely acclaimed manufacturers and suppliers of Commercial RO Plant. 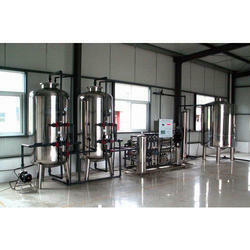 The offered commercial reverse osmosis plant is commonly used for the purification of hard underground water. Our supplied commercial reverse osmosis plant is equipped with multiple filters and membranes for water filtration process. The offered commercial reverse osmosis plant is removes the dissolved unwanted solids. We feel proud to introduce ourselves as the well-known manufacturer and supplier of RO Mineral Water Plant. The offered reverse osmosis plant is specially fabricated for purification of hard and raw water. Our supplied reverse osmosis plant is equipped with filters, membranes and cartridges for water filtration process. The offered reverse osmosis plant is easy to install and fix. 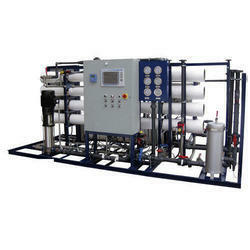 Our supplied reverse osmosis plant is available at very reasonable rates. We are one of the well-known manufacturers and suppliers of SS Reverse Osmosis Plant. The offered reverse osmosis plant is equipped with filters, membranes and cartridges for water filtration process. Our supplied reverse osmosis plant is capable of removing large molecules and ions from the water supply. The offered reverse osmosis plant is easy to install and fix. 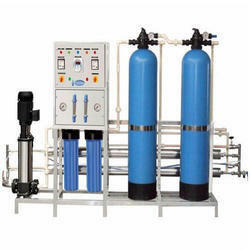 Our supplied reverse osmosis plant is very affordable in price. We are one of the leading manufacturers and suppliers of Drinking Water RO Plant. The offered reverse osmosis plant is widely used for the purification of raw and underground water. Our supplied reverse osmosis plant is equipped with sand filters and activated carbon filters for the water filtration process. The offered reverse osmosis plant rejects the dissolved solids through a semi permeable membrane.